Baseball is back in the Lehigh Valley, as the “Future IronPigs” travel North on Route 222 from Reading to challenge the Current IronPigs in a tune-up game at Coca Cola Park this evening. Tickets: Widely available! Full Season Ticket Holders received complimentary tickets with their packages. Others may purchase tickets at the ticket windows for $6.00. 100% of ticket sales go to IronPigs Charities. Seating: General Admission–first come, first served basis. Club Level: Closed for this event. What’s Different This Year: Yes, we’ve seen this show before–kind of. One thing I noticed that’s a bit different is the “chirping” (still in hockey mode..) by both teams over social media. 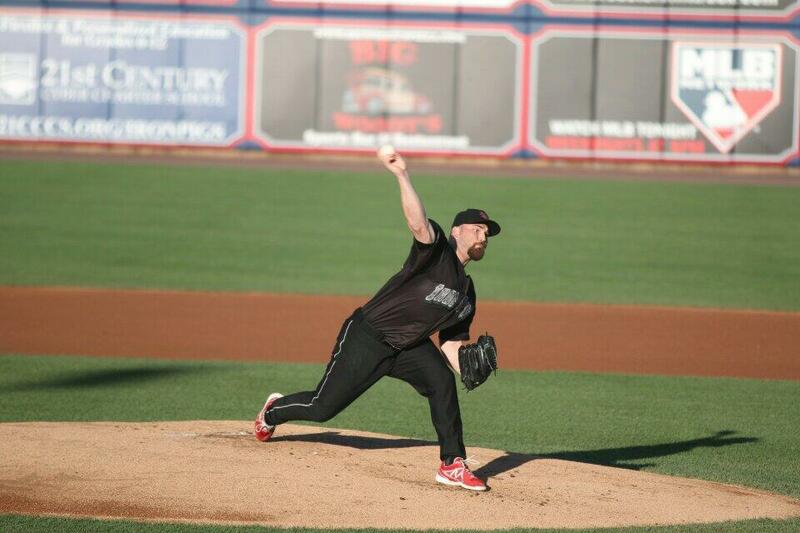 It started yesterday morning with a wager between IronPigs clubhouse manager Jason “Jay” Ross and Reading’s clubhouse manager Andrew “Nelly” Nelson. At stake is free dessert for the opposing team, I understand. Then, some of the players got involved. Tyler Henson and Brock Stassi in particular. Bragging rights, certainly at stake if not more: I’m predicting some spirited play tonight! Worried About The Rain? Click here for rain policies, and here for advanced strategies. Because of the exhibition nature of this game, I wouldn’t be surprised if they just called it if it’s a wash over there, but if there’s a chance I think they’ll wait and try to get it in.